This report is about the role and importance of effective communication management and information management. 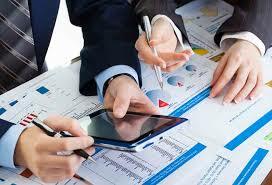 We will study about different business process used by organisation which makes impact on the selection and adoption of any accounting software in the organisation to improve its financial structure. There are analysed different categories of accounting software and vendors and accounting software are compared on the basis of their features which can be most beneficial for the business given in the scenario. Overall it is a study of accounting information system and its role in an organisation’s effectiveness. 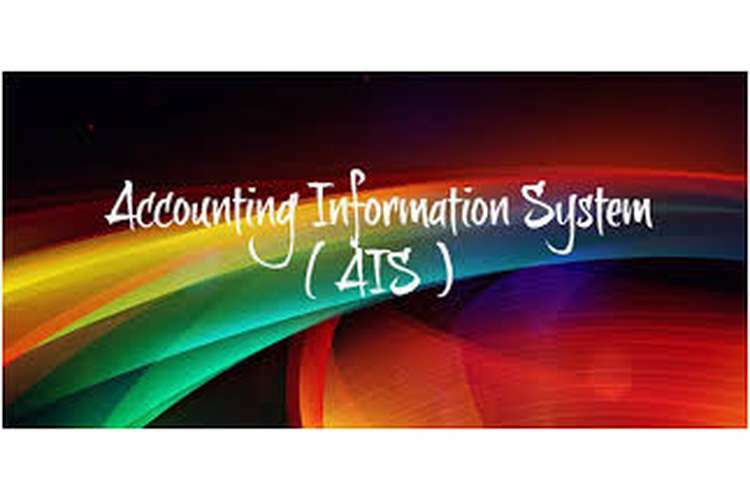 Accounting information system (AIS) is integration of accounting and information system which is providing effective way and method to manage accounts and transaction in organisation. This is a structure which is applied by organisation to collect, store and manage financial and accounting data of organisation. Accountants, consultants, auditors and managers uses this collected data for their study and further use them. This report is about introduction of accounting software and all related aspects which make impact on organisational effectiveness to achieve its goals and objectives are analysed. The report defines the effective study of business process and requirements. a) What a Baker does? Discuss the business activities/processes of the organisation to show your understanding about the business. Business process can be defined as integration of different activities and tasks execution of which results as providing outputs to achieve organisational goals and objectives. Every business process should include inputs which are treated as raw material and resources for any organisation. There are different types of business processes which are used by organisations and companies working in different sectors. Following are some examples of business processes which are used in different types of businesses and industries (Clayton, 2015). Manufacturing business- This type of businesses uses product assembly, quality assurance and control and evaluation process. Finance industry- There are used invoicing, billing and risk management process of business. Health industry- There are used medical assessment and drug management and approval process of business. Travel industry- Business process which is used in this industry are booking and arranging trips for tourists. In the given case study there is a given a scenario in which there is a B bakery which is owned by a family and employed with 70 employees which is leading their efforts to increase profitability calculated as $ 13.5 million during last year. Bakery is running from last 50 years and provides breads and confectionary items to different retailers, wholesalers, supermarkets and pub-chains. Company has enhanced its product range by introducing new product range of healthy products (Fico, et. al 2015). There emerges requirement to introduce effective accounting information system and ERP system to improve communication and accounting of the company. Organisation is a manufacturing company which is using transformation process to convert its inputs into outputs by using different methods. In a manufacturing unit there are also used operational management which is supportive system for business process. A baker is a manufacturer who produces all day to day bakery items like bread, pastries, cakes etc. He uses raw material as inputs and bake them as transformation process and provides outputs in the form of baked and finished products. Supply chain is effective of this business as in there are supplied products on daily or weekly basis to meet the requirement of customers. A bakery can be doing its production in the following manner. Mass production- It depends on demand and size of orders in bakery. In case of huge demand of products or a specific product there emerges requirement to mass production to fulfil requirement of customers with utilising effective machinery and specialised workforce. There comes benefit of balanced or low cost of capital which helps to increase profitability ratio of company. Batch production- Bakery products also manufactured in batches of orders in which there are manufactured specified batch or lot of specified items in accordance with demand of product. This process of production provides smooth and manageable production process to bakery business (Hacker, et. al 2010). Flexible manufacturing- In this system of manufacturing there are used different machineries and equipment which provides cost reduction in long term. Production Just-In- Time- This production process is adopted to provide high quality products in bakeries by manufacturing products fresh and on the basis of order. This also helps in effective allocation of money and reduces blockage of money. Supply management is also essential for this business type as in if there is ineffective supply management then there will be increase in chances of wastage due to excess of productivity. To protect bakery business there should develop a systematic order to ensure that level of production and supply should be matched. In the given case study B bakery is providing the it’s products to various businesses including supermarket and pub- chains so the supply is effective and meeting level of production. In business process of bakery quality management is also very important as in market position and branding of any bakery depends on its quality management in its production. b) What processes are indispensable to be performed? In the context of bakery providing its services on huge level there are various activities included in the process of manufacturing. Among those activities there are some indispensible activities which should be conducted for making the business successful. Following are some examples of indispensible process in a bakery. Quality and quantity control- In food industry there is required to maintain quality in products especially in perishable products. In a bakery it is essential to execute all processes and activities which are important for effective running of bakery business. There are established some standards and benchmarks to be followed to achieve quality measures. Estimation made for quantity is important to manage quality factor. Production should be depended on the quantity required by customers (Grujic, et. al 2016). Storage process- Bakery products are produced in accordance with demand of customers and are perishable in nature so there should be effective storage facility which helps in managing product quality. Ingredients and raw material should be stored in a cool dry place where it can be fresh and of same quality. Temperature control should be there which helps in effective storage of raw material and finished products. Effective technologies and machinery should be used to store products. This process is inseparable from a food industry like bakery. Packaging process- In production process of bakery products packaging and handling process is important and indispensible. Packaging should be in a way that it enhance and maintain quality of products and provide differentiation in product range. Handling process should be in a manner which helps in improve product quality and efficiency. Packaging is the way to promote products in market and provide differentiation from competitors and their products. There are adopted following technologies in the process of effective handling and packaging. Cryogenic Freezing- Freezer are using by bakeries for cryogenic freezing of products which is an effective way to firm up the products before packing them and provide them stability for long term use. Modified atmosphere packaging- This technology or packaging process is used to improve product quality and expand reach of products by way of providing long term stability of products. Creaming- Providing nitrogen to cream product is a good technique and method to improve product appealing of specified bakery (Abdel-Tawwab, 2012). c) What outcomes are required from these processes to achieve business objectives? In a bakery business there are various processes which are inseparable and help in achieving business goals and objectives and there are also expected some outcomes from these processes which are as follows. Effective quality- Bakery products are perishable and quality oriented. The main objective of bakery business is to provide quality products to its customers and enhance sales of company and make goodwill in market. All the activities in an organisation should be focused on how to improve and manage quality in products. Process of quality control is expected to provide outcome of quality and sustainable products. This will help in achieving business goals and objectives in effective manner. Cost efficiency- Cost plays important role in every production process. Cost efficiency leads to increased profit margin. Prices are based on the cost of products and low cost provides high profit margin and helps in achieving margin of safety and economies of scale in any business. Customers can also be attracted and by providing low cost products with effective quality products .Low cost can be effective promotional tool to increase customer demand and helps in increasing organisational turnover (Giapponi, et. al 2010). Effective supply- In food industry or bakery business it is important to need the deadlines and manage supply effectively of products. Supply management can be defined as estimating demand of products and producing products to meet that level of supply and make equilibrium between demand and supply. Supply should be on time to meet the requirements of customers and provide them products on time. This is effective method to effectively increase business income and demand. Accounting management- Every organisation should manage its accounts effectively which can provide stability and an overview of performance of business. Accounting helps in managing funds in business and their effective utilisation which helps in achieving low cost and high profitability and decreased prices. Accounting software can be used to manage all the flows of funds and transaction executed in business making impact on business performance. Accounting software and management of accounts is important which can result in effective fund management in organisation. Goals and objectives of business can be achieved by this (Giapponi, et. al 2010). a) What are some of the possible software features or functionalities that the firm should consider to achieve their IT investment objective? Every organisation required to develop and adopt some software to improve its working pattern and quality. Management becomes easy to done and also there are defined more benefits with the adoption of any software in an organisation. In the market there are provided various software having different attributes and features and also make their impact on business effectiveness and growth. Software should be selected by any organisation by analysing its impacts on business and comparing all the options available in market. For any organisation IT investment is important to achieve objectives and goals of organisation. Enterprise resource planning (ERP) software is providing access to businesses to have more effective and easy communication of information ion organisation which helps in improving business activities in positive manner and helps in achieving business targets. Every business focuses on selecting more suitable and beneficial information technology which can effectively support investments of business. In the process of selecting software in a business the following points must be considered (Kuckartz, et. al 2014). 1. Accounting and costing- Software should have all the information related to financial performance of company. In case of bakery business software should have all the information related to the performance, turnover, profitability cash inflow and outflow in business. These features define financial structure and position of business. This also helps in identifying cost of production in business and plays important role in deciding prices for products. All the accounting activities are executed online with the introduction of software in business. 2. Compliance- Software provides proper tracking on execution of processes from manufacturer to retailer. Effective compliance should be provided by Managing and printing all the required certificates and documents online and all other due diligence required. Software should meet the requirements and needs of changing environment which help in maintaining consistency in any business. So there should available features to lot tracking which monitors activities from raw material to finished goods in business. 3. Quality control- In bakery business it is important to consider the quality factor. And technology which is going to be introduced in business should monitor and control quality in activities and manufacturing of products which can help in improving product demand of company or firm. Batch production is done in bakery business and software should be able to monitor and control quality from raw material to finished goods in a business (Rajah, 2014). 4. Production planning- manufacturing and accounting are integrated with each other and should be managed effectively as in they make impact on each other. Centralised system of information is adopted to manage manufacturing. There should be provided information and direction to execute production process. Time and budget id defined for every activity and all the information related must be recorded effectively. Recipe management should also be provided by software which can help in track recipe by saving it in a database with its versions. This helps in identifying any kind of mistake and also provides stability in production process. 5. Online availability and route delivery- Online software have ability to track any transaction online and help in managing online sales effectively which helps in increasing sales and reach of products of company and lead them to increased profitability. Inventory can also be planned and managed by this software which helps in estimating and planning customers in company and enable in doing survey related to different mobile applications and new technologies and tools. Delivery is also managed by this software by way of tracking the system and mechanism using by company. The time and cost involved in delivery mechanism is controlled and analysed by this information system which improves delivery services. 6. Customer services- Customer satisfaction is one of the most important aspects of success of any business and organisation. Effective and proper services should be provided by businesses and should consider their demand and complaints. Information system of new technology should enable effective management of customers and their complaints or feedbacks. There emerge a term customer relationship management (CRM) which is effectively adopted in business by the introduction of new technology of communication and provides effective management and make direct contact with customers who gives their feedbacks which can be considered in business to make it more successful (Rajah, 2014). a) Visit the web sites of accounting software package vendors (e.g. SAP, MYOB, Xero etc.). You need to visit at least 3 (three) software vendors’ websites. b) Which category of accounting software (low, medium or high-end/ERP) suitable for the firm? Give your justifications in detail. Accounting software is proving as a tool of effective management of financial activities and transactions in a company or business which are important for the success of any organisation. There are various types of accounting software available in market having different features and adaptability. Businesses should done comparative analyses of available option comparing with organisational features and requirement and then select the most appropriate among them for the business. Simple and personal accounting software are used by home users and are inexpensive and can be used without any specific training. Peachtree complete accounting, MYOB plus for window, QuickBooks Online are the accounting software most suitable for the small and personal accounting. Low end accounting software is used by small businesses and markets which are serving a single market by single entry products. Business Vision 32, Quick Book Pro 2003, ACCPAC Pro series, Vision Point 2000 are example of low end accounting. Medium end accounting software is used by large and expended businesses which are having their business in different countries as in this software can work on accounting standards of different nations and transaction in multiple currencies. ACCPAC Advantage Series Corporate Edition, Great Plains (Microsoft) MAS 90 & MAS 200, Navision, SouthWare Excellence Series, SYSPRO are some example of medium end accounting software. High end accounting software or Enterprise Resource Planning (ERP) is complex and expensive accounting software which enables organisation to evaluate the time and cost and all other factors and their effectiveness which supports soundness of company’s investments (Ivancevich, et. al 2010). B bakery is running a huge business which has employed more than 70 employees and effectively increasing its profitability. There should be adopted medium end accounting software or ERP as long term IT investment which will lead its business to next level. As in all the activities will be managed effectively and business will achieve cost efficiency and will be able to compete with its competitors in market due to effective production and management and control over activities. a) Compare and contrast the features/ functionalities of two accounting software packages offered by accounting software package vendors (e.g. SAP, MYOB, Xero etc.) within your selected category in question 4. There should be adopted medium end accounting software for bakery business as in it is affordable and is not complex to use and provide effective results in the organisation. There are various accounting software in this category like Xero, Saasu, ACCPAC Advantage Series Corporate Edition, Great Plains (Microsoft) MAS 90 & MAS 200, Navision, SouthWare Excellence Series, SYSPRO etc. We will discuss about two accounting software and compare them on basis of their features and adoptability in business (Ivancevich, et. al 2010). XERO- It is a UK based accounting software developed by an Australian company and providing cloud computed accounting to enhance accounting quality of small and medium business. There are various features of this software which supports business operations. The software is having real time data monitoring capabilities and having huge number of subscribers who are satisfied with the range of features provided by software like different range of mobile and desktop platforms. This software helps in reconciliation and categorise bank transaction. It becomes easy to manage the employees with this accounting software as in it effectively calculate payroll, pay them and manage their taxes effectively. The pricing is also affordable and effective of this accounting software (Velmurugan, et. al 2011). SAASU- This accounting software is also treated as the future of accounting. It has enabled every business to manage its cash flows without any syncing and it is very easy to connect with this software as in there are no requirement of any extra start up. This software provides bank reconciliation services and also provides customisation facility in the invoices of company and effectively manages and reminds all the payments and collection of the company. The software can do transaction in more than 50 currencies which enables any company to do business overseas and increase its reach in different countries. Foreign currency can be managed by company with effective management and in the end of transaction foreign currency can be converted back to base currency. Sales and expenses are effectively managed by this software and also there are different models and version of this software which can be selected by organisations according to their requirements. Comparing these two accounting software there are various similarities between these two accounting software as in both are providing cloud computing accounting and are effective in managing financial structure and transaction in an organisation. And there are some differences also there between them as in it is easy to setup Saasu in a business but to adopt Xero in a business it can be proved as complex process. Both are providing customisation in their services but Saasu is coming in different versions (Velmurugan, et. al 2011). b) Which one would be the most suitable vendor (and accounting software package) for the Bakery business and why? Given situation have provided that there is B bakery which is willing to adopt accounting software or ERP system to enhance its accounting and performance and provides stability in market by creating competitive advantage for the company. we have analysed about the business process of this bakery business which is important to be considered before selecting any accounting software. Different accounting software categories and types are also analysed which can be selected by any organisation and two accounting software of that category which is suitable to bakery business are compared on the basis of their features. After analysing these accounting software we will select SAASU accounting software for the business of bakery and this is due to some reasons which are defined as follows (Accounting Software Selection Made Easy2015). Size of business- B Bakery is a medium sized business which is employing more than 70 employees and running its business from last 50 years which is a long duration. Company is rearing profits more than $ 13.5 million. Saasu is a medium end software which is beneficial for businesses like B bakery as in it will effectively manage activities and financial transactions of the business and will provide better financial position in the business. Employee management- B Bakery is employing more than 70 employees and it is important to manage them effectively to achieve goals of business. There are emerges requirement of payroll management of employees. Sassu provides effective management of payroll of employees and execute all the transactions related to computing payroll, paying employees and they effectively manage the pay taxation in business. So this accounting software will also be beneficial to manage employees in business. Foreign transaction- This accounting software have capability to do transaction in more than 50 currencies and is aware of accounting standards of different countries. These qualities and features will be beneficial for the business to expand its business in different countries and increase reach of its products (Schiff, et. al 2014). No extra start up- There is no need for any extra start up and investment as in it is affordable accounting software which can be collaborated with the e commerce and CRM and business will not be disturbed with the introduction of this accounting software. B bakery can execute its activities and manufacturing without any interruption of this new accounting software. Customisation- There are available different versions of this accounting system which are developed to fulfil requirements of different customers and this helps in providing customisation facility to customers. B bakery can select the most suitable version for its business by analysing and evaluating different features, advantages and disadvantages of these versions and customise the software according to its demand. These versions came with free trial versions which help in testing them in the business and then select them. Different platforms- This accounting software can be accessible from different platforms and there are provided different applications and tools to use it like desktop, mobile app e-mail etc. This will enable the bakery business to execute and control and access this software from anywhere (Schiff, et. al 2014). So we can say that for the business of B bakery the most suitable accounting software will be SAASU. This report is a detailed study of accounting information system and its importance in effective running of any business and organisation .There are analysed different business processes using in different organisations and activities included in them. Features and functionality which should be there in any effective software which can support organisational investments and expected outcomes from them are analysed in this report. Different categories of accounting software are analysed on the basis of organisational features provided in the case study. There are defined reasons to select any accounting software in any business which results as most beneficial. Abdel-Tawwab, M. 2012, "Interactive effects of dietary protein and live bakery yeast, Saccharomyces cerevisiae on growth performance of Nile tilapia, Oreochromis niloticus (L.) fry and their challenge against Aeromonas hydrophila infection", Aquaculture International,vol. 20, no. 2, pp. 317-331. Clayton, J. 2015, "Identifying Powder Properties that Define Process Performance",Pharmaceutical Technology Europe, vol. 27, no. 10, pp. 46. Fico, G., Gaeta, E., Arredondo, M.T. & Pecchia, L. 2015, "Analytic Hierarchy Process to Define the Most Important Factors and Related Technologies for Empowering Elderly People in Taking an Active Role in their Health", Journal of Medical Systems, vol. 39, no. 9, pp. 1-7. Giapponi, C.C. & McDevitt, R. 2010, "CJ Mclaine's Deli & Bakery, LLC: a small family business case study. (Instructor's Note)", Journal of the International Academy for Case Studies, vol. 16, no. 6, pp. 141. Grujic, S. & Grujcic, M. 2016, "Consumer’s research for new functional bakery product development", Applied Technologies and Innovations, vol. 12, no. 1, pp. 1-16. Hecker, F., Hussein, W. & Becker, T. 2010, "Analysis and optimization of a bakery production line using ARENA", International Journal of Simulation Modelling, vol. 9, no. 4, pp. 208-216. Introducing CompareAccountingSoftware.com, Accounting Software Selection Made Easy2015, , PR Newswire Association LLC, New York. Ivancevich, S.H., Ivancevich, D.M. & Elikai, F. 2010, "Accounting Software Selection and Satisfaction", The CPA Journal, vol. 80, no. 1, pp. 66. Kuckartz, U. & McWhertor, A. 2014;2013;, Qualitative text analysis: a guide to methods, practice & using software, SAGE, Los Angeles. Rajah, K.K. 2014, Fats in Food Technology, Second;2;2nd; edn, Wiley-Blackwell, GB. Schiff, A. & Szendi, J. 2014, "Helping small business entrepreneurs avoid critical mistakes in quickbooks accounting software", Entrepreneurial Executive, vol. 19, pp. 169. Velmurugan, M.S. & Nahar, Wan Nur Azah bte Wan 2011, "Criteria for Selection of Right Accounting Software", , pp. 168.